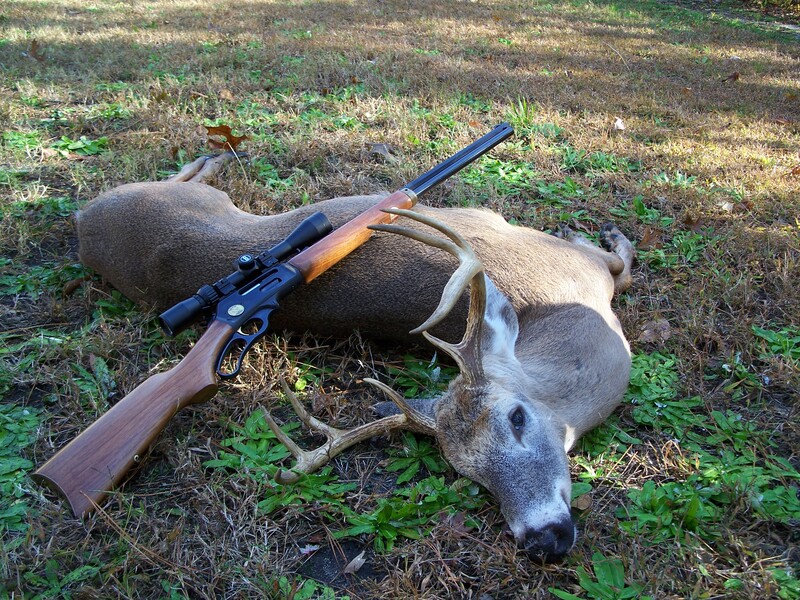 Up-Close Outfitters offers the most unique guided deer hunting adventures in North Carolina. We specialize in challenging hunts for Big Woods Bucks that roam the vast national forests of Western North Carolina. Hunting deer over corn and bean fields will seem like cheating after experiencing a hunt in this rugged and trying terrain. We teach sportsmen new techniques to scout and track big, mature bucks in open woods using GIS technology and time-tested field clues. Let Up-Close Outfitters show you exactly what is involved in bagging these elusive Big Woods Bucks. Big Woods Bucks: A male deer with his home range consisting of hardwoods, pine, and thick underbrush. No agricultural lands or human-imposed characteristics persist. The large-size whitetail deer we pursue are in a league of their own. We scout year-round and cover hundreds of miles to locate a few select deer to target each year. All bucks we pursue are quality deer, with 3-5 years of age and 18 inches minimum antler width. We will not hunt a deer unless we can demonstrate it is a dominate buck or unless a client prefers to pursue a smaller deer for more tender meat. Our guide service is the only federally permitted guide business to hunt the Pisgah National Forest. Our permit enables us to hunt 56,481 acres in Western North Carolina. This type of permit is very common out west for guide businesses that hunts mule deer and elk. We have taken the same principle and applied it in NC. Given the vast amount of acreage our permit entails (56,481 acres), we are able to keep scouting until we find trophy deer. 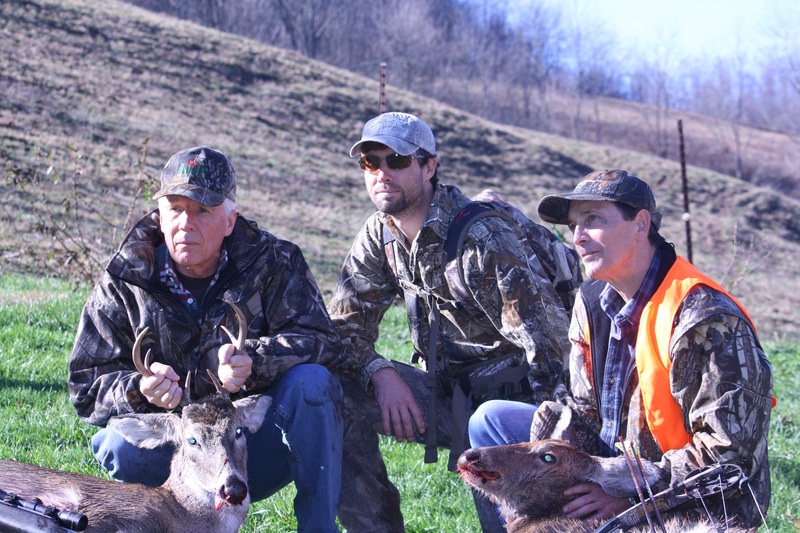 Our typical strategy for deer hunting is to sit in a prime location one or two hunts. If we do not take the deer within this timeframe, we move stands and set up again on fresh travel routes. We pride ourselves on educating our clients on the latest technology, demonstrating hunting tactics, and even sharing little-known public hunting spots. Our team uses state-of-the-art equipment to identify and take Big Woods Bucks. We keep up with the newest products on the market and invest in new technology when possible in order to give each client the best opportunity to take the trophy of a lifetime. The mountains contain diverse geographic characteristics, which provide hints for finding ideal whitetail habitat. We gladly share as much of this type information with our clients as possible. And by virtue of hunting public lands, each client has future open access to hunt the areas we showcase. In-the-field game quartering and removal. WARNING: Our hunting trips do require a good amount of walking in steep terrain. Please be in good health !